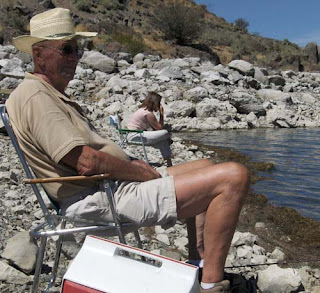 This is Grandpa Ed, fishing for catfish on the Snake River. He likes to fish. "Want to go catfishing tomorrow?" he boomed to loving husband, so off they went the next day with my dad, the lovely ladies and one fine young gent. I was awed by my Grandpa Ed when I was little. He's very very tall and gruff and loud and kind to us girls all at the same time. When we were little we adored him and we were a little afraid of him at the same time. Now we just adore him. He's married to Grandma Ruby who is soft and sweet and very talented. Grandpa Ed hasn't been able to hear well for as long as I can remember. My lovely lady with autism absolutely adores him because he's not always trying to talk to her. 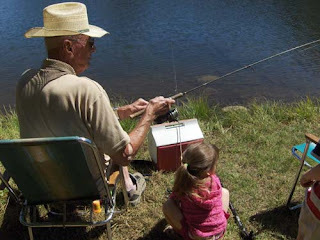 She doesn't like to fish, but she likes to go along on the catfishing trips with Grandpa Ed. She had a conversation with him about dogs, one of her current obsessions. If you meet her, she'll ask you, "Do you like big dogs or little dogs?" then she'll inform you "I like little dogs because they're cute." Most of us humor her by agreeing that yes, indeed, little dogs are cute. Not Grandpa Ed. "I can't stand little dogs. Too yappy!" he told her. And that was that. She loved it. "Likes" to fish is a gross understatement. "Lives" might be a more appropriate substitute. On their honeymoon, Grandpa Ed bought Grandma Ruby a bunch of peaches and went fishing with a friend, leaving her to can all of the peaches. Grandma always laughs a little when she tells the story. Grandpa doesn't like that story all too much. Maybe if he'd known he'd be hearing about it for the rest of his life he'd have stayed and helped can peaches. Grandpa Ed is a great fisher-with-kids. Soon as he'd hooked a fish he'd pass the pole to one of the youngest generation so that they could catch a fish. "Got one!" he'd holler. "C'mon and get it, now." With the Poohsticks five and the Busy Farm eight, there were plenty of young ladies and gents ready to grab a pole. He'd help them get the fish off the hook, bait it up and toss it out again so that they could catch another. With all the kids fishing, and Grandpa Ed and Grandpa Dennis and loving husband baiting and casting, we caught 61 fish that afternoon. "If anyone asks," my dad reminds the kids,"You've only caught five fish." The next day a friendly lady asked the kids, "Did you catch any fish?" "I caught six!" pipes up one little gent. "I caught seven!" chirps a little lady. I think they just miscounted, myself. Some day these kids are going to look back and remember fishing on this sunny day at the beautiful lake with their great-grandpa, Grandpa Ed. Life is good. That sounds like so much fun. What a great experience for the kids...one of my favorite memories of childhood is fishing with my Papa Ernie in the Keys. We used to go a few times a year and I had so much fun with him. He also made me reel in my own fish and it was hard work but so rewarding. Such a nice time to spend alone with a Papa or great-grandpa. I remember fishing w/ my Grandpa. 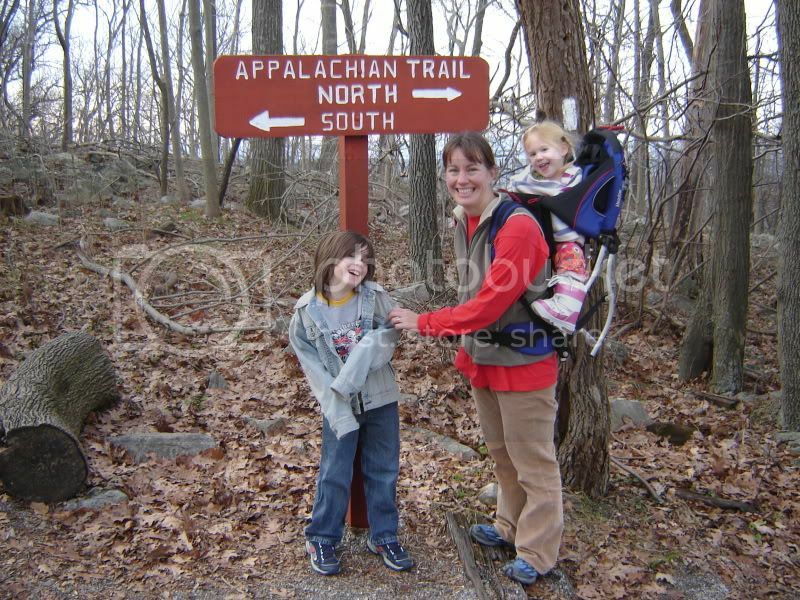 Thanks for the trip down memory lane!